Come learn about Christ’s power to carry us through the most difficult circumstances at our “Shipwrecked” VBS August 20-24. You can find more information on the attached brochure. it has a form you can use to register for the VBS week. If you’re looking for a place to grow in Christian service, we invite you to consider working with our youth. 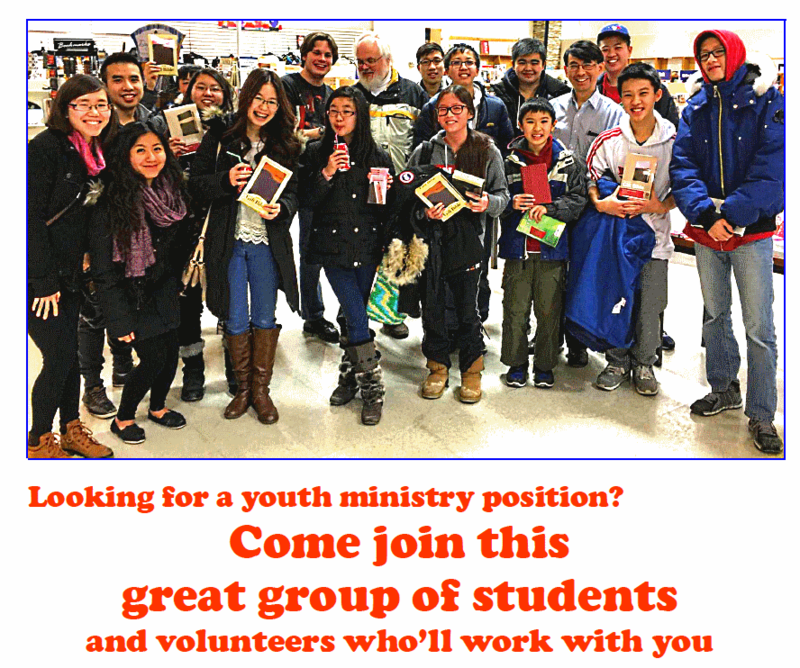 Click on the link for a PDF advertising the position, or email pastorpaul@mcpc.ca for more information. The Presbyterian Church in Canada General Assembly will convene June 3 to make some important decisions about the future of our church. We’re hosting a special prayer meeting at 8pm, Thursday, May 31, together with our brothers and sisters from Chapel Place Presbyterian Church, to pray for the commissioners to this assembly. Please join us to pray these leaders will have the courage to humbly lead us in the way of life. A team from CTI Music Ministries will be visiting us for a special morning worship service April 29. Come join us for a time of celebration and renewal.